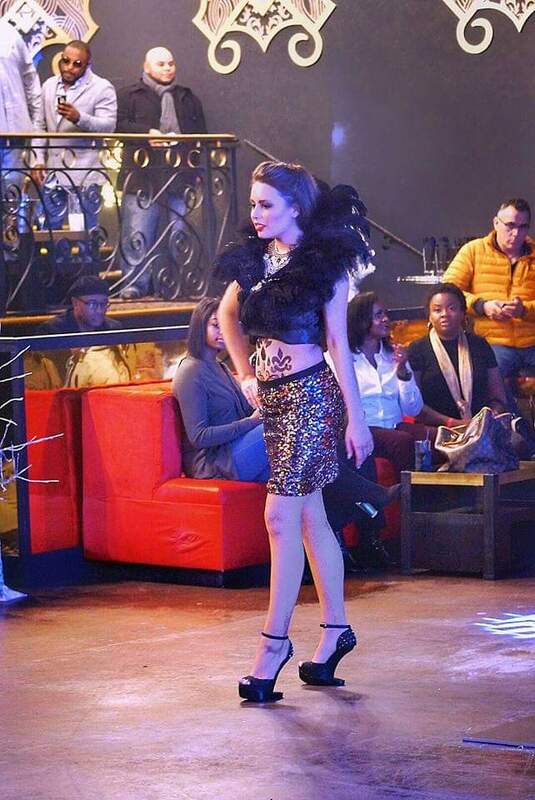 Two interviews, a couple of appearances…all in a day’s work. 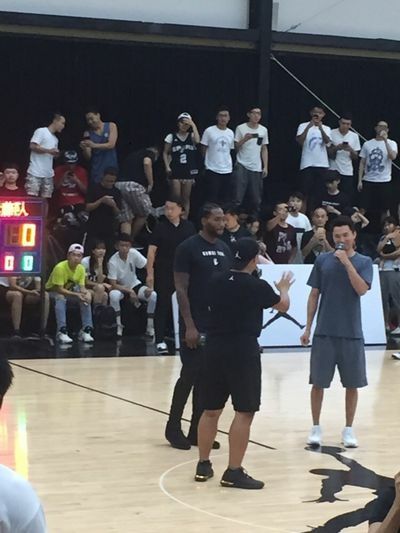 Kawhi Leonard has already been very busy as he kicks off his seven-day visit to China. 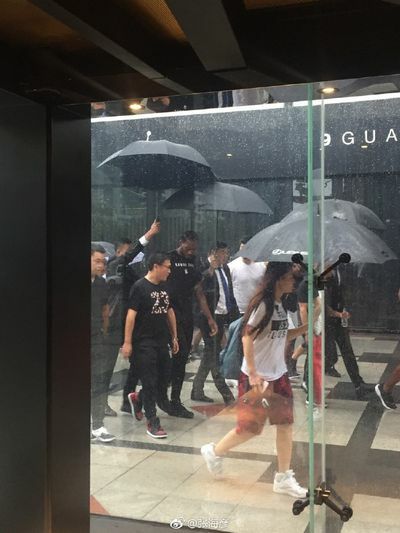 We saw him touchdown in Beijing and visit the Jordan store (and large murals of himself) in the Beijing World Trade Plaza. 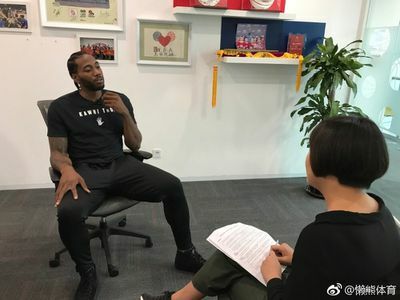 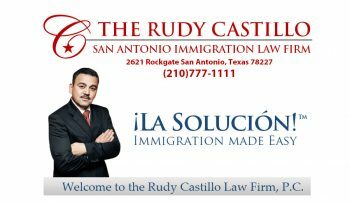 He also did an interview with the Chinese press where he answered questions about himself, the Spurs organization, and gave his impressions on the upcoming NBA season. 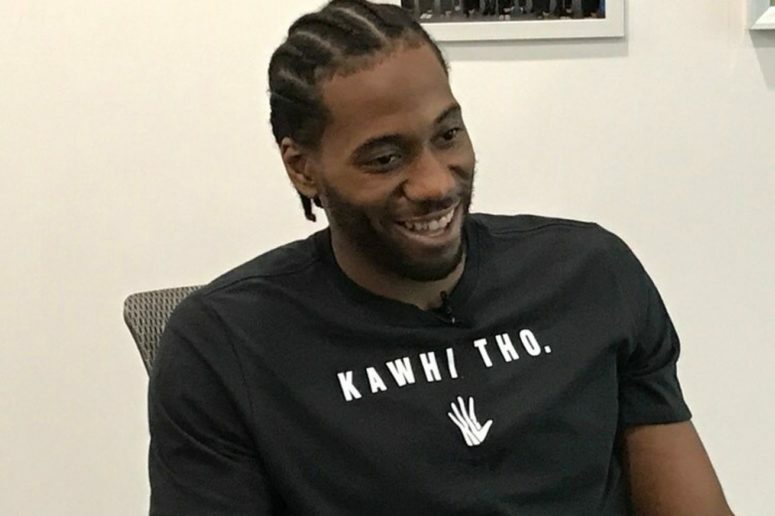 Which is also the first time this summer we’ve seen a picture of Kawhi in anything but shorts. 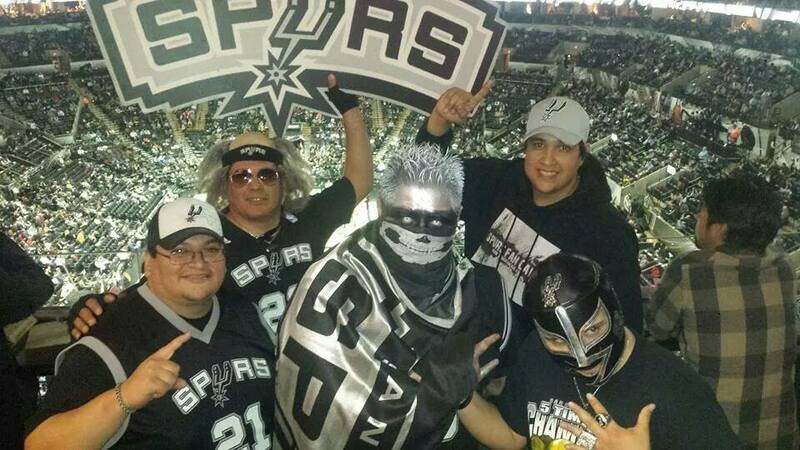 Of course, his pants still look like they’re more warm-ups than jeans or khakis or anything resembling casual wear. 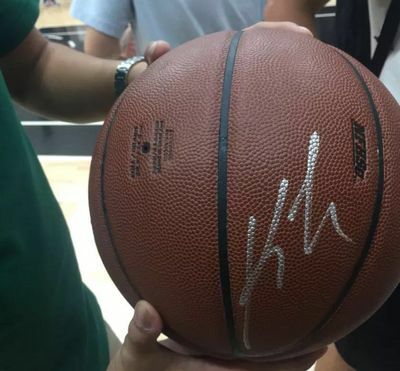 Finally, he appears at an event at a basketball venue, where he signed some autographs. 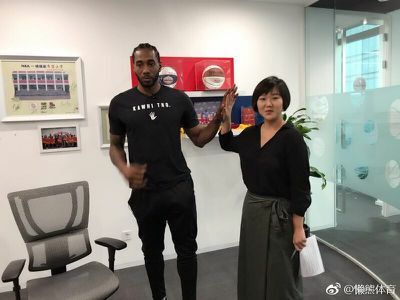 As more information on Leonard’s adventure in China comes out we will make it available, so keep in touch. 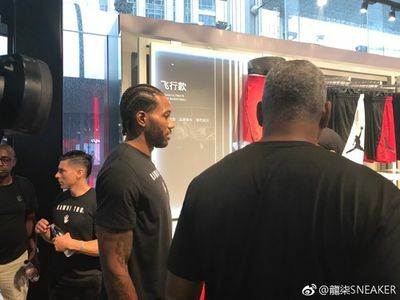 And thanks again to our Chinese Spurs fans without whom we’d not be able to provide all of this terrific Kawhi content.